So this is my site and... Yeah. That's about it. Here you'll find all sorts of stuff about stuff like you know like like you know like. Wowza, it really has been a while! As you may or may not have noticed, well, this site has been awfully quiet for the last four or so years. The sporadic update rate seems rather expectable for the foreseeable future as well. Anyway, some new winds have been blowing as of late. I entered uni last fall and have been grinding away at some compumatationing scoience studies for almost a full year already! How time flies. In completely unrelated news, I at least got my fancy shmancy logotype font into somewhat working order for the very first time in forever after a few days of grinding. Also, who would've thought that SVG fonts don't work the way the spec claims them to? You cannot actually use arbitrary SVG shapes inside your glyphs and expect that to work. Instead you practically have to use the d attribute of the glyph element. Not a huge problem for someone whose glyphs are already only using path, right? They've even got the same format and commands for the d attribute! Not exactly. You see, the Y axis is flipped. I was not exactly amused to find this out. Through these troubles I finally got a font that actually works and am happy about, so that's a plus! If you wish, you can check it out here. Also, Haskell is fun. Just throwing that out there. 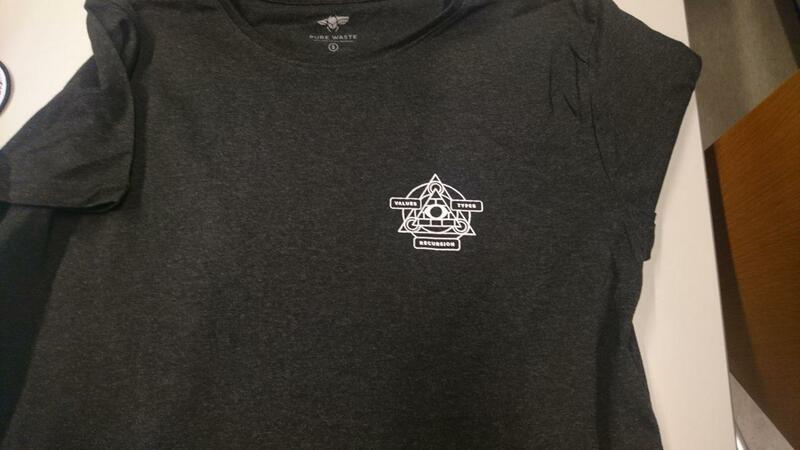 We also got some neat cult-like T-shirts from our Introduction to Functional Programming course that ran just this past Spring. They're quite neat. Novelty domains are always a bundle of joy. 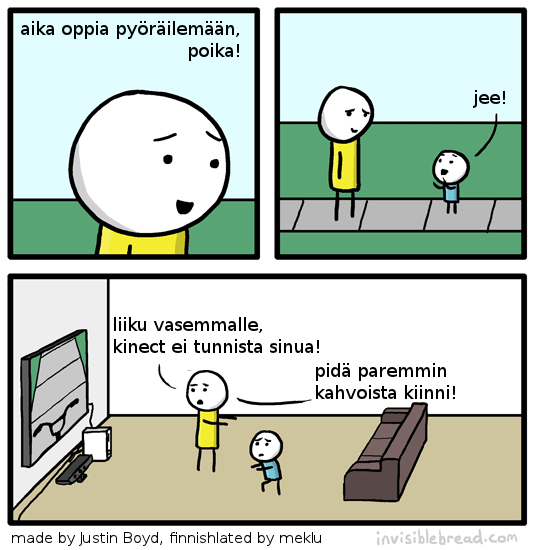 For any possible Finnish audiences, you might appreciate pilipali.io which was inspired by its mention in an IT-ankka -inspired IT-ankka comic (as in an IT-ankka not from the original author). Depicted on the landing page is the elusive startup-ankka. The exquisite artwork may soon be criminalized by the EU, so grab it while it's hot! I finally arsed myself to move over to the new version of Wooden Snail, the self-brewed CMS that this site uses. So I finally got myself a real actual domain name, meklu.org. I'm considering getting a hold of a real hosting package as well some time soon. I think I should also rewrite the hideous stuff the codebase has grown to be. It's a mess, can't be read too well, and it needs quite a bit of optimization. I think I'm going to keep the directory structure of the posts as is and just build a fancier implementation of the current "API". Another thing I'm likely to do is drop tumblr from the main thing and just drop its support into another file (perhaps add some plugin capabilities to this little CMS). Stay tuned, since next time we'll shoot a dinosaur into SPACE!!! Oi, Internet! As you may or may not have noticed, I've cleaned up this site a bit lately and moved some functions and configuration into their own PHP files. Better yet, I added a feature that makes posts' footers optional and configurable on a post-to-post or page-to-page basis. Oh, you should totally download my Chrome/Chromium theme darkish. I'm gonna get the tab bar fixed ASAP, if I feel like it. And you should really tell Julkku how bad his website is. I guess that's it for this day. Or not.